It’s never too early! The Burton Riglet Park at Powder Ridge Mountain Park & Resort really is a different way of learning to snowboard and part of our Experience Training program. It’s the way to bring young riders into the sport. This is a safe and fun learning environment for kids, and it really doesn’t get any better! Kids snowboarding has never been easier. 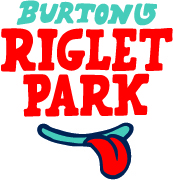 The environment created by the Riglet park at Powder Ridge is magic and it’s been said that it’s safe, it’s fun, and it’s working. Our coaches and families are finding great success getting kids on snowboards as soon as they can maintain a little balance. And with the Riglet Reel tow cable and a few mellow snow features like rollers and berms, kids are discovering the sensation of riding on their own! Check out our programs for 4 and 5-year-olds at Powder Ridge.